Do you sometimes feel like your wireless network is performing below its maximum capacity? Characterized by a weak signal strength and slow connections? Basically, the range of wireless networks is limited by the antenna type, transmission type, location, and the environment. Below are some reliable ways to improve wireless network performance. Distance from the router to your devices is one major factor that will affect the performance of your network. The further you go, the weaker the signal gets. For that reason, you will want to locate the router in a central place in your home. If any of your devices requires the router more than the rest, it is a good idea to place the router closer to that device. Also, remove any obstructions that may interfere with signal strength. You may consider placing the router on a raised area like the top of a shelf. Metal objects are potential signal killers. Any device that is on the opposite side of a metal door will have faded signal. When placing the router, consider if there may be metals along the path of the signal towards your most important devices. Updating your driver updates should be the first thing you do. Often times, new drivers will contain fixes for some of the known issues, an increase of performance among others. Most manufacturers will update their drivers every few months on average. The updates are usually free and typically improve reliability and performance. A wireless repeater is a specialized piece of equipment which can take the original wireless signal and repeat it by creating a secondary network. The hardware has multiple wireless adaptors, amplifiers and external antennas to make it capable of getting a strong signal from further away and creating a strong secondary network. Commonly used to bridge the gap in wireless black holes you don't need to be able to reach the original wireless network. If you can connect to the new one the repeater then shares all of the network resources of the first network (other wireless devices and the internet connection for example). You can see examples on http://wifirepeaters.net/. 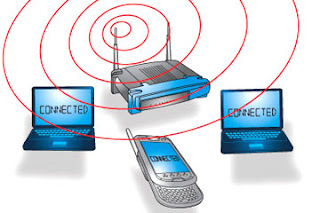 Devices that transmit radio frequency like mobile phones and cordless phones can possibly cause network interference. Devices on 2.4GHz frequency range will very likely cause a performance problem to your wireless network. Carry out a simple test to check if any of your devices are causing interference. Disable them and check if there is a change in performance. Routers are supplied with standard antennas that are designed to be omni-directional, which means that they broadcast in all directions around the router. Should you need to place the router near a wall, half of the signals will be broadcast outside your home, therefore wasting most of the router's power. It may not be possible to increase the router's power but it is possible to utilize the power better. If you're using a router with a removable antenna, you may consider upgrading to a high-gain antenna that will focus the wireless signals to only one direction. You can even aim the signal towards the direction you need it most. Wireless network routers are able to broadcast on different channels, the same way television stations use several different channels. Still, as you can tune to one station and find it has interference while another station will be perfectly clear, that is the same way one network channel may be clearer than others. Through the router's configuration page you can try changing your router's channels and see which one has the clearer signal. You will not have to change the configuration on your devices because they are able to detect the new channel automatically. Although a router and wireless cards from different manufacturers will work together. You will often get better performance if they are from the same manufacturer. So if both your wireless card and router came from http://www.linksys.com/us/ for example they would of been tested together and use similar firmwares. Sure, wireless standards means this isn't 100% necessary but it can help.